Guiliana Rancic, Christina Applegate, Kylie Minogue. At first glance, you might think that the common thread is that all these women are super hot. However, they share something else. All of these women were diagnosed with breast cancer. Most breast cancer diagnoses are among women ages 30 and above. You may be years away from your flirty 30s but it is important to be educated and aware. In fact, October is Breast Cancer Awareness Month. In the United States, breast cancer is the most common cancer among women. According to the CDC, in the United States 202,964 women were diagnosed with breast cancer and 40,598 women died from breast cancer in 2007. Guys, don’t think you’re off the hook. Men are also at risk of breast cancer (And I’m not talking about Chandler’s nubin). Check out Christopher Barr’s eye-opening story on his breast cancer diagnosis. Breast Cancer 101: Inside the breast, cells grow uncontrollably. Our bodies don’t need these cells, so they build up and eventually form a tumor. If the tumor is benign, then this isn’t cancer. But if it’s malignant, then this is cancer. And if the tumor is not detected early, it can spread to the rest of the body (metastasize). This can cause serious problems and possibly death. “My mom had breast cancer. Will I get it too?” There is no right answer to this question. Like eye color, breast cancer genes are also passed from parent to child. BRCA1 and BRCA2 are most commonly linked to breast cancer. Their jobs are to fix breast cancer cells and prevent them from getting out of control. Sometimes, these genes are abnormal so they can’t do their jobs. Having one or both abnormal BRCA genes does not mean you’ll definitely be diagnosed with breast cancer, but it can increase your chances up to 80%. Based on your family history, you can get a genetic test to determine whether or not you have the abnormal gene. Thankfully, breast cancer is treatable if detected early. Treatments include surgery, chemotherapy, and radiation. Wanna learn more? Find out what’s fact or fiction. Check out Health.com’s list of 25 Breast Cancer Myths. Wanna get involved? Th ere are plenty of opportunities through organizations such as the Susan G. Komen Foundation, National Breast Cancer Foundation, and the Avon Foundation for Women. Gather up your friends and sign up for the next Susan G. Komen Race for the Cure. An even easier way to help out is to purchase products with the pink ribbon. 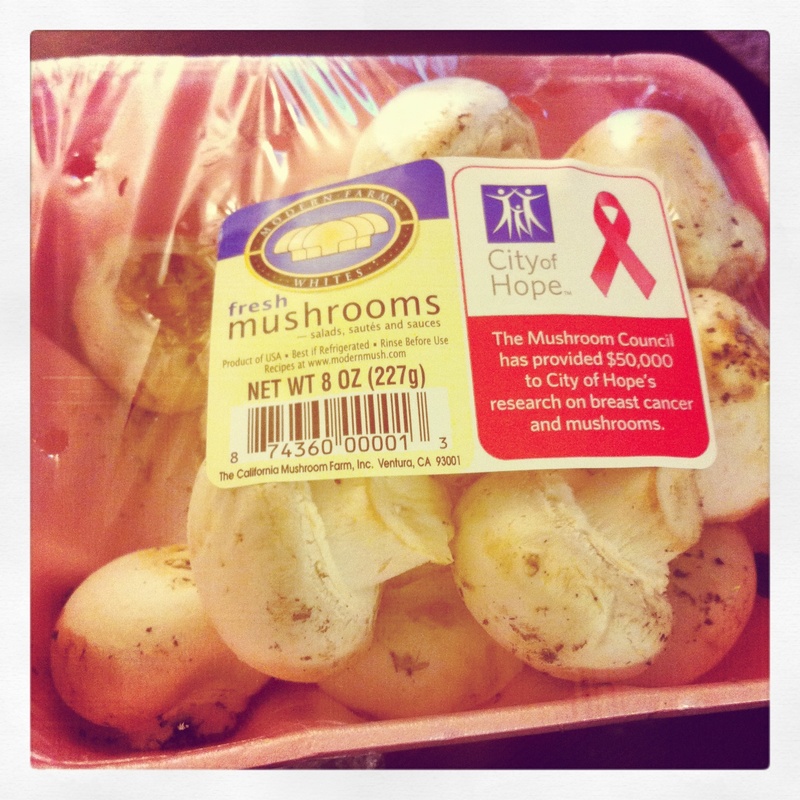 I just bought some mushrooms. Tasty mushroom-cheese omelet, money for breast cancer research. Now that’s what I call a win-win situation. So get out there and show some love for your lovely lady lumps. I simply had to appreciate you once again. I am not sure what I would’ve implemented without those information provided by you concerning such a area. It absolutely was the traumatic situation in my circumstances, nevertheless taking a look at the very skilled technique you resolved the issue made me to cry over contentment. Now i am happy for the work and as well , hope you are aware of a great job your are accomplishing educating many people thru a web site. Probably you haven’t met all of us.